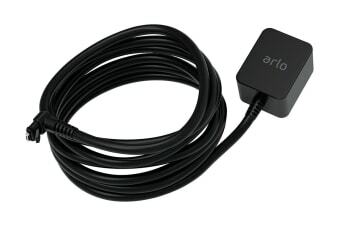 The Arlo Outdoor Power Adapter is designed especially for Arlo Pro and Arlo Go. Charging your camera becomes easy with the help of this Outdoor power adaptor. The connectors are extremely weather-resistant, hence perfect for outdoor use. The charging cable and power adaptors are designed to withstand extreme outdoor conditions. The Arlo Outdoor Power Adapter provides even and uninterrupted charge to your device, hence you can enjoy complete security all the time. The device uses the latest technology to speed-up charging of your camera’s battery, thus saving power.